1820s and has continued to escape ever since. and along streams and rivers. 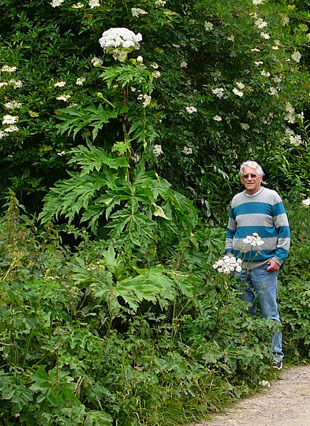 Giant Hogweed is a huge, truly spectacular herb, growing up to 5m. 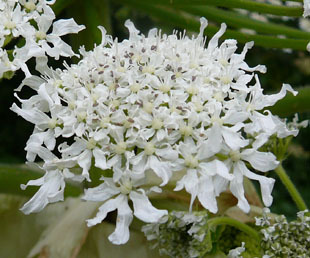 Flowers are white and in umbels up to 1m. 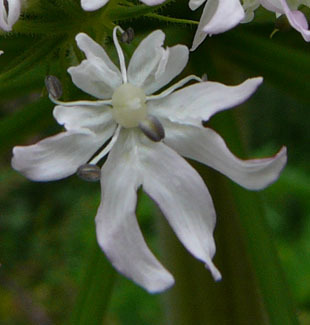 have petals that are notched and unequal. 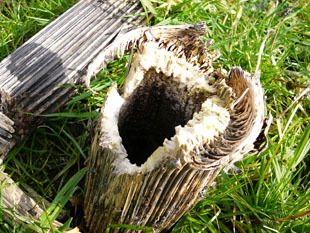 Stems are hollow, hairy and with red patches. 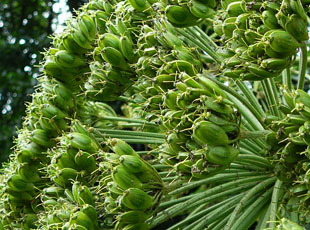 The leaves are up to 1m across and lime green. 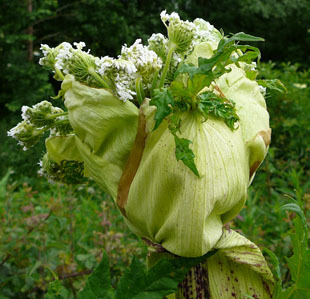 became known as the Triffid from Behind the Iron Curtain. 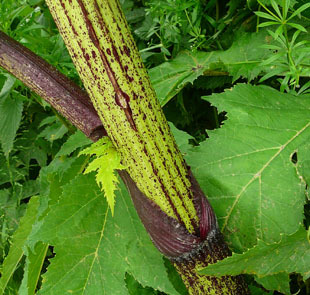 bristles and sap which react with sunlight to cause photodermatitis. 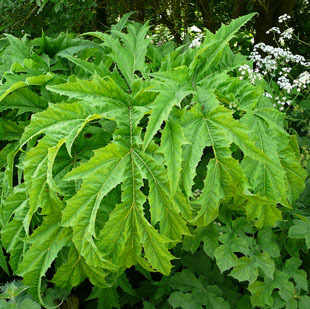 Doctor has never seen a case. 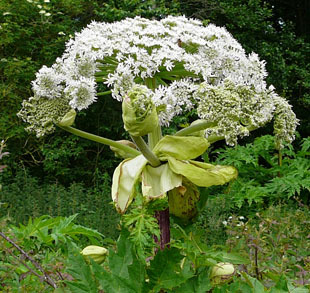 cause Giant Hogweed to grow in the wild. 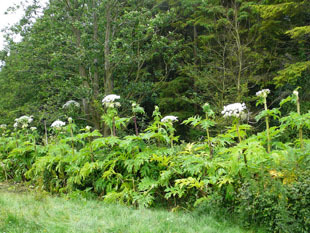 For details for Giant Hogweed, click on the link.